Martial Arts, specialised in Chinese Kung Fu. Head instructor at Wudao Kungfu Netherlands. Basketball, badminton, swimming, horse riding and archery. 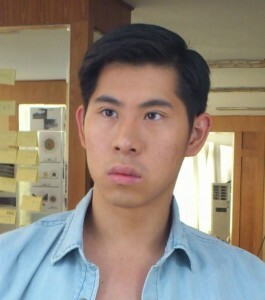 Alex Cheung Man San, Zhang Wen Shan (张文山）was born in (1987, 3 March) The Netherlands. He is a Martial Artist/Actor/Filmmaker, also known as the Dutch finalist from the Hong Kong TVB Television reality show Kung Fu Supernova. He is graduated from the Utrecht University for Applied Sciences majoring in International Marketing Management. He promotes Chinese Martial Arts along with philosophy and culture as the founder of the Wudao Kungfu school and leader of the performing team ‘Wudao Dragons’. His dream is to contribute to Martial Arts and Film industry and share his passion through media. He believes that film is a medium which he could combine all his interests in various arts together. ‘Hij is een Kung Fu talent, snel en flexibel. Zijn lichaam is erg geschikt om Wingchun te leren’. ‘Hij is een Kung Fu talent vanwege zijn bevattingsvermogen en zijn lichaam is goed gebalanceerd, de verdeling van de armen en benen zijn correct. Zijn bewegingen zien er dan heel natuurlijk en mooi uit, en dat maakt hem erg geschikt voor het beoefenen van Kung Fu. Alex Cheung gave an inspiring performance at the Erasmus University, which he showed us his power and energy very strongly by his martial arts skills. The most surprising was that he was able to withstand two man from the audience whom together pushed against him at the same time and couldn’t even move him. The performance was very well done and both interesting and educational.